Some people got it and some people don’t. Seventeen-year-old Jahmir Smith has got it: talented both in academics and on the football field. He is casually racking up full-ride academic and athletic scholarship offers from more than 30 universities across the nation, including all eight Ivy League schools and every major program in his hometown in North Carolina, along with his more than 2,000 yards rushing last season. Jahmir is only a junior at Lee County High School in Sanford, N.C., but he already has the world at his fingertips. His first university offer came in December from East Carolina University. After that, the others came rolling in. Some of the offers have been delivered personally by head coaches at the schools. His first Ivy League offer came in January, from Princeton, until he finally collected them all. 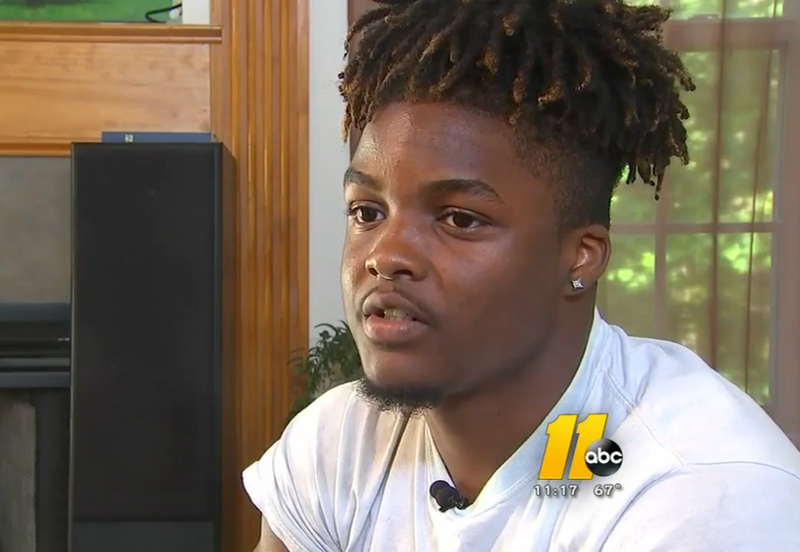 “I really didn’t think it would happen,” Jahmir told ABC11. Football star he may be, but Jahmir didn’t start playing football until eighth grade. Nonetheless, he was recently added to the record book of the North Carolina High School Athletic Association for his stats this past season, when he ran for 2,130 yards and scored 41 touchdowns for his team. But schoolwork for Jahmir always comes first. He loves math and science. His mom, Monique, says that her son has always been serious about his grades, and when he was growing up, schools wanted him to skip ahead a grade twice. Right now the teen holds a solid 4.43 GPA and has more than enough credits to graduate from high school early and take up any of those offers this instant. However, the level-headed athlete wants to take his time and consider all his options, as well as enjoy a senior year at Lee County High. “It gets overwhelming, but I’m handling it,” he said. According to ABC11, Jahmir has already visited nine campuses and has started thinking about his career path. He is leaning toward becoming an anesthesiologist. Jahmir’s mom—who is unwaveringly proud of her son and is his No. 1 supporter —has high hopes for his future, thinking that maybe he’ll be like Myron Rolle, who was drafted in the sixth round of the 2010 NFL draft by the Tennessee Titans before later leaving the NFL to attend the Florida State University College of Medicine to study to become a neurosurgeon. Read more at ABC11 and the News and Observer.